Spring is around the corner, and it's time to get your apartment ready for the sunshine. North facing windows? No problem! Here are a wide range of tricks to brighten up your space, no matter the size. This is a great time to invest in bright throw pillows and cream-colored rugs. Lighter colors are better here, but you don't need to stick to neutrals. Try experimenting with pastels or bright patterns. These reflect the light back, making the room seem brighter overall. 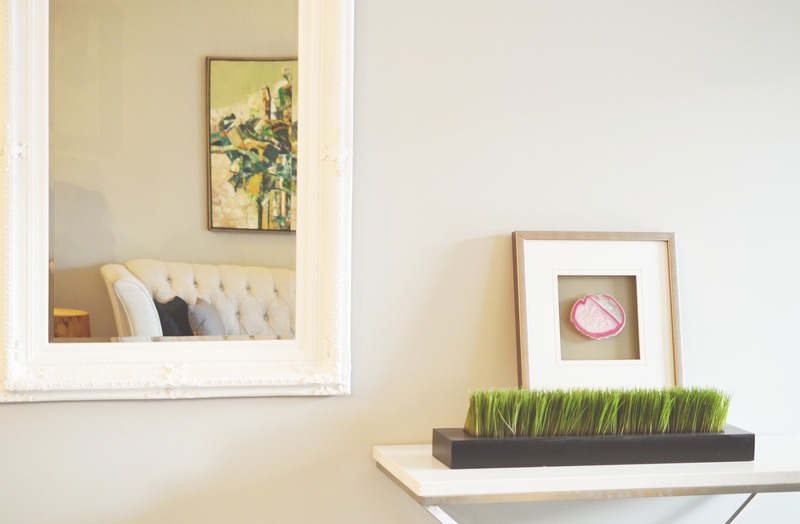 Steal a tip right out of a decorating guide and place a large mirror opposite the windows. This will reflect light around the room. You can also polish furniture or flooring for extra shine. For a more subtle psychological trick, set out a vase of fresh flowers. Get a little creative here and skip the roses. Popular options include chrysanthemums (one of the longest lasting cut flowers), tulips (trendy and a perfect fit for spring), and daffodils for a splash of sunny color. Clutter doesn't just make spaces feel smaller. It also casts extra shadows in a room, making it literally darker. Get a head start on spring cleaning. Throw out, give away, or put up items you don't use all the time. Here's where you can really get creative. Check out local thrift stores or garage sales and you might score some really funky, unique lamps. Another option is to check out different lightbulbs. Some come in playful colors, while others have a special coating and mimic natural daylight. Are you looking for comfortable living with easy university access in Flagstaff, AZ apartments? At University Square, we're in walking distance from NAU. We offer a wide variety of floor plans including studios and multi-bedroom apartments. Come by our website to see what's available.